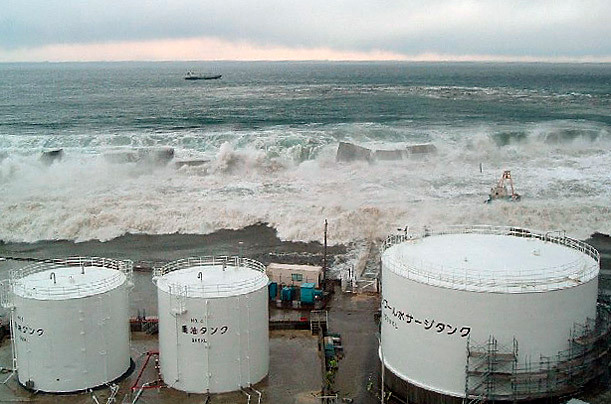 Virteacon: Images of Tsunami striking Fukushima Nuclear Reactor Released! 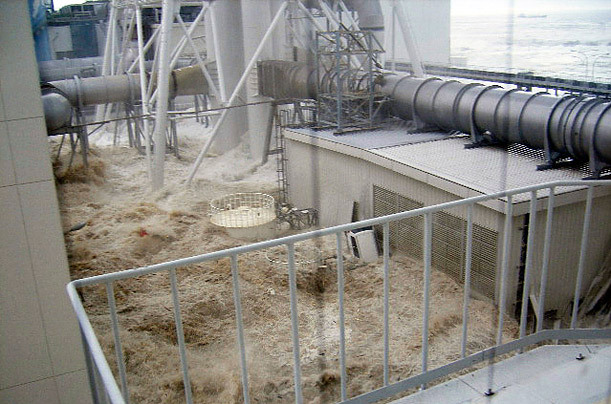 This image, taken on March 11, 2011, from the fourth floor of the radioactive waste disposal building, shows water rising from Tsunami waves at the Fukushima Nuclear power plant in Fukushima, Japan. Photo released on May 19, 2011. 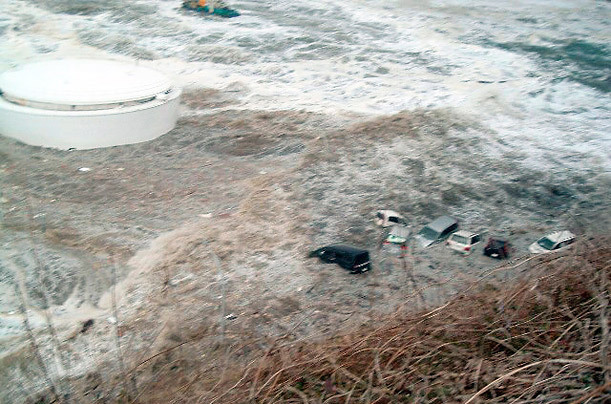 Cars are washed away as Tsunami waves hit Daiichi nuclear power plant in Fukushima Prefecture, Japan on March 11, 2011. 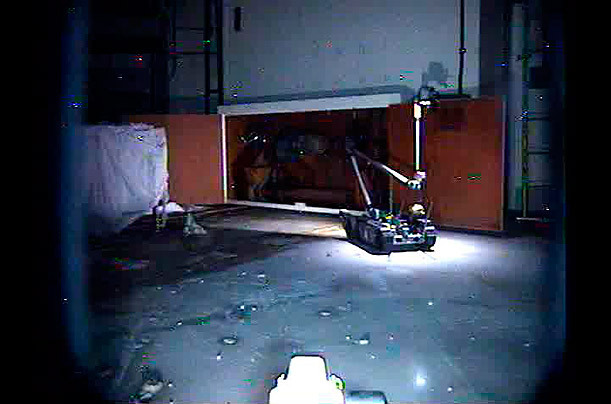 Photo released, May 19, 2011. 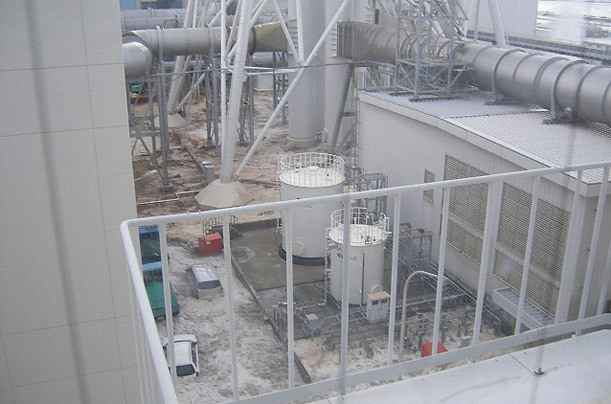 A remote-controlled robot measures radiation levels near the instrument hatch of a reactor containment vessel inside the plant's number three reactor. 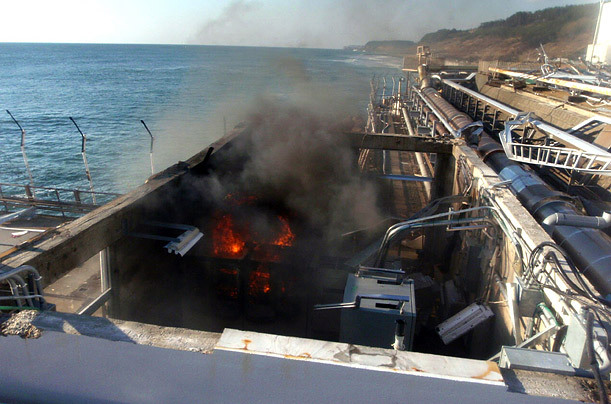 Fukushima Daiichi, April 12, 2011 A fire broke out at a sampling building near a water drain of the Fukushima Daiichi Nuclear Power Plant. The fire was soon extinguished.